Here’s how you can use Evernote in any of the four most common browsers: Chrome, Safari, Firefox, and Internet Explorer. First, you’ll need to install Evernote’s Web Clipper. If you don’t have Chrome, download it at Google Chrome. In Chrome, navigate to Evernote Web Clipper. Click the green Download for Chrome button in the center of the page. The page shown in this figure invites you to download Web Clipper. Click the Add button in the dialog box that descends from the top of your web browser. As the message box says, clicking this button allows Evernote to access your data on all websites, your tabs, and browsing activity. The message “Evernote Web Clipper has been added to Chrome” appears at the right end of Chrome’s navigation bar, along with a new icon that shows the Evernote elephant. Click the Evernote Web Clipper link in the welcome note you received from Evernote or navigate to Evernote Webclipper. Click the down arrow on the right of the green Download for Chrome box and select Safari from the drop-down menu. Drag Web Clipper to your Safari browser, if you have that option. If you don’t have the option of dragging Web Clipper to the browser, the Evernote Safari Clipper Plug-in package downloads, and the dialog box shown here appears. Click Open. Then, in the confirmation dialog box, click Install. The Safari browser now has the Evernote Web Clipper button installed at the left end of the address bar. Safari doesn’t support extensions in iOS 7, Apple’s new operating system for mobile devices. You have to use bookmarklets. Therefore, Evernote had to develop a work-around. So for some, the Web Clipper works fine on Macbook Pro but does not work on iPhone 5s under iOS 7; some use the Dolphin browser on my iPhone. 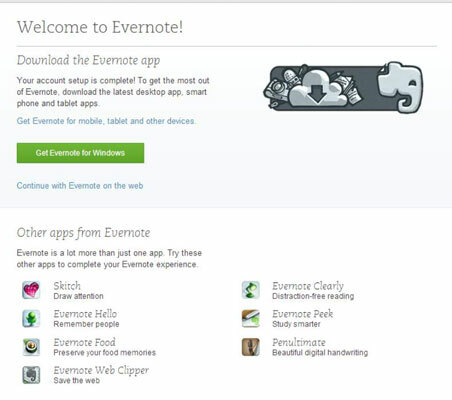 Click the Evernote Web Clipper link in your Evernote welcome note or navigate to Mozilla Add-Ons. An install window descends from the top of your browser window. Click Install. The Firefox browser restarts, with the Web Clipper bar on the right side of the screen. A new tab may open, showing the document “How to Use Evernote Web Clipper,” and the Evernote elephant icon shown in the margin appears on the Firefox toolbar. Web Clipper doesn’t appear in the Internet Explorer browser bar because Internet Explorer doesn’t support add-ons like Evernote. The good news, however, is that Web Clipper is part of the native Evernote installation for Windows. You just have to get used to a slightly different way of accessing it (and accept reduced options). 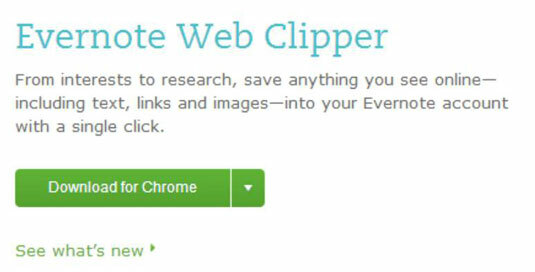 If Evernote detects Internet Explorer, it installs Web Clipper along with Evernote. Although Web Clipper doesn’t work the same way in Internet Explorer as it does in other browsers, you can still work with most of the Web Clipper options by right-clicking on any part of the website you’re currently on and selecting either Clip This Page, Clip URL, or New Note.